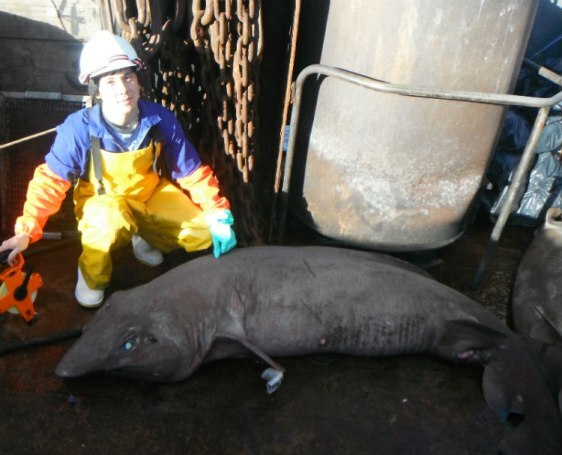 Paul Clerkin with a false catshark, a large and elusive deep-sea species caught on the expedition. "I tell people I have a ton of sharks, and they keep thinking I’m joking," he said. "It was an actual ton. I brought back 350 sharks."